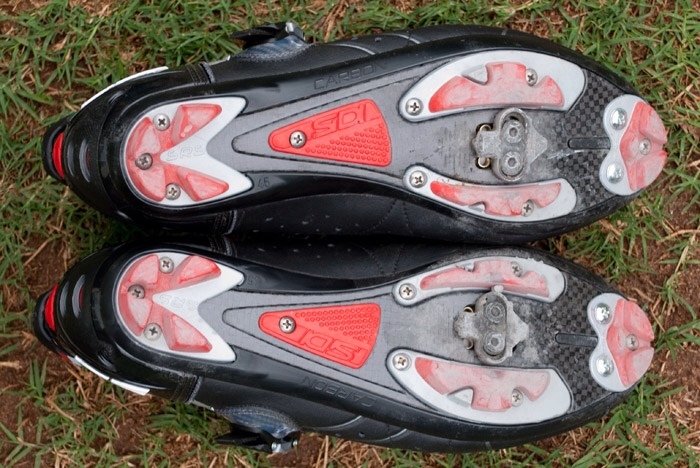 Coming from a bike racing background, I have used clip in shoes since I was in my teens. The extra power and efficiency they offer is hugely beneficial to me, even just commuting around town. I have become used to them completely and now I find it hard riding a bike without them. You can read all about the benefits of being clipped-in HERE. Here are a list of considerations to make when selecting shoes for touring. All of my racing shoes are incredibly complicated with buckles, tensioning wheels, heel retaining systems – everything you want in a performance shoe which requires a firm fit. The only thing is that shoe adjusters are just another thing that can go wrong. You can avoid them by sticking to velcro-tensioned shoes. 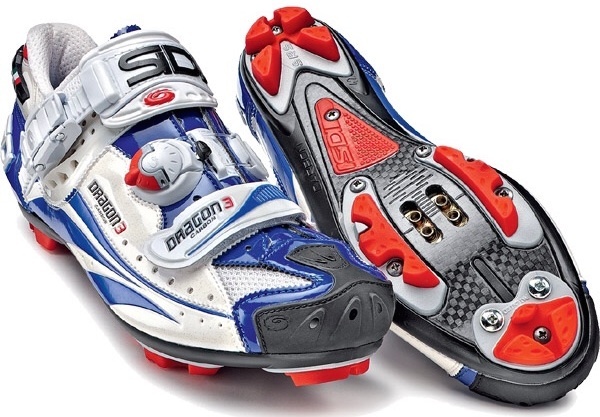 My Sidi Dragons are the most comfortable cycling shoes I own, but they are not built for extended bike travel. My Sidi ‘city’ shoes are made with hard plastic soles – the last pair got 12 months use until there were no soles left. But perhaps a bigger problem is that plastic soles are incredibly slippery on almost all surfaces. If you can, find a shoe with a hard rubber sole as it will be both durable and grippy. 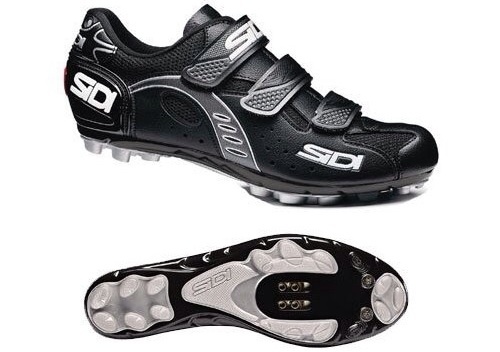 Some shoes such as the Sidi Bullet use a hard plastic sole, not ideal for bike touring. 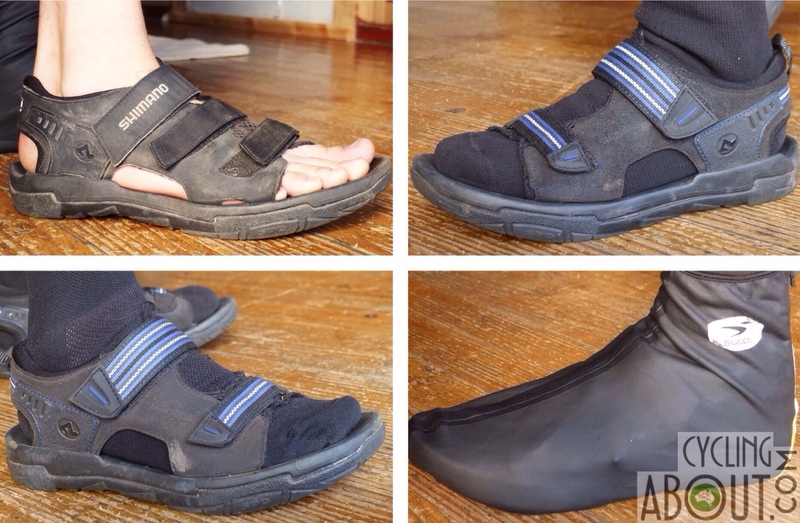 The more ventilation, the more comfortable your feet will be and the quicker your shoes will dry. Ventilation is particularly important in regions over 15 degrees celsius, but even if it’s cooler, at least you can make your shoes warmer by wearing waterproof socks and waterproof booties. You certainly can’t cool down an unventilated shoe! With stiffer soles, power transfers better and feels more efficient. But there’s actually a limit to how stiff you want your shoes – too stiff and you won’t be able to walk around comfortably. I’ve found that carbon fibre is not as durable around the cleat interface as plastic soled shoes. I’ve worn out lots of pairs of carbon soled shoes, but have never warn out a plastic interface around the cleat. All of my carbon soled shoes have given way after clipping in and out thousands of times! You’ll need shoes with adequate grip. When you’re bike touring you’ll often be stopping and walking around. Make sure your shoes can grip in all weather conditions and surfaces – it will save the embarrassment. Rubber soles are great. 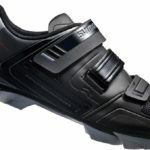 Hybrid walking/SPD shoes are superb. These shoes compromise in both the ability to walk comfortably and ride efficiently compared to having two pairs of shoes, but you can save lots of space and weight. I like to carry the extra 600g to have the best of both worlds, but that decision is up to you. Just recently, I discovered that SPD sandals are the most versatile touring shoe. Why? They dry fast, are more ventilated and are suitable in conditions from freezing to boiling. Yes, you can even wear them comfortably in the snow. How? With waterproof socks and booties, of course. My sandal article is HERE for all the details. I don’t know if I’ll ever be able to use ordinary shoes again. The shoe with lots of the above features is actually one of the cheapest around. 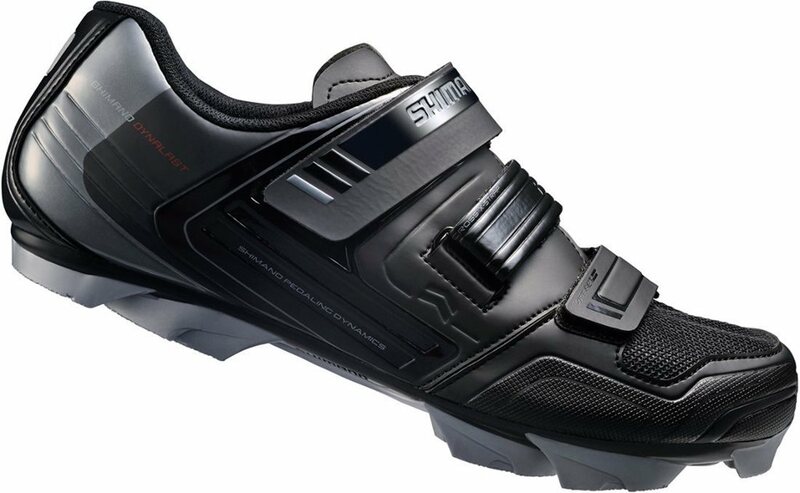 I like the Shimano XC31 because it has a simple velcro design, it isn’t carbon, it has a good rubber sole and it’s relatively well ventilated. 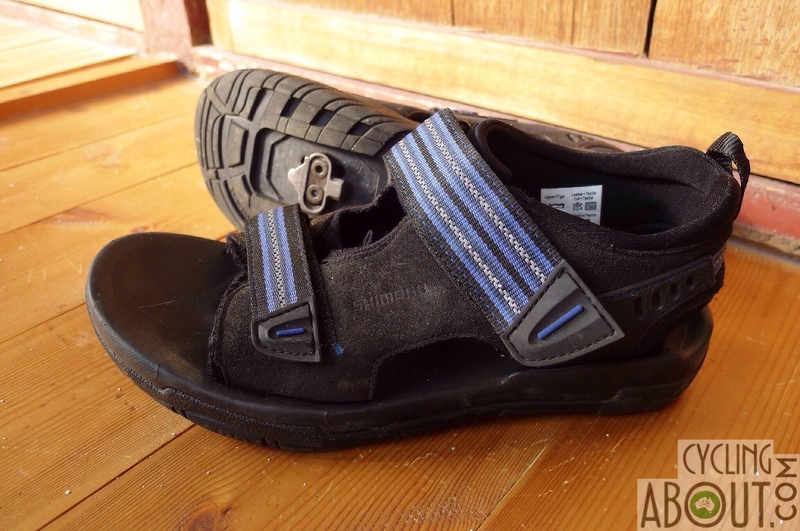 However, just remember that the Shimano SD66 sandals are more versatile than any other shoe. They’re perfect if you’re riding through all kinds of weather, especially wet and warm conditions.